"Green Soft cream" is the first soft cream ground green tea flavour in the world. It has been a specialty of Wakayama city and locals have loved since 1958. 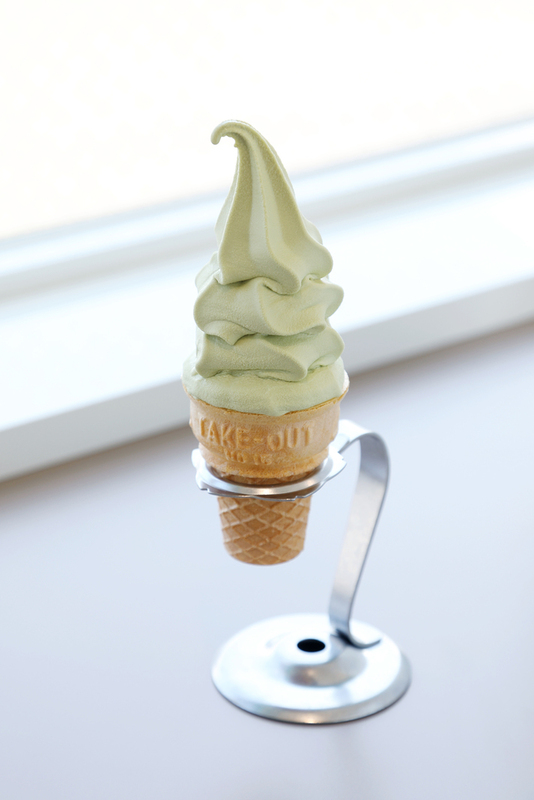 The Green Soft cream is created and sold by Gyokurin-en which is a well-established tea shop in Wakayama City in 1854. You can taste it at "Green Corner" in Gyokurin-en as well as at the Wakayama City Tourism Gift Center. It is also sold at some convenience stores and supermarkets in the city. Please try the Green Soft cream when you visit Wakayama city. ○ Access: 15 mins on foot from JR Wakayama Line "Tainose Station"